Kaylene Mann's brother Rod Burrows and sister-in-law Mary Burrows were on board Malaysia Airlines Flight 370 when it vanished in March. On Friday, Mann found out that her stepdaughter, Maree Rizk, was killed on Flight 17.
International passengers from all walks of life, from a prominent AIDS researcher and soccer fans to a nun and a florist, were aboard the flight. On Friday, President Barack Obama said at least one American was on board. He identified the U.S. citizen who was killed as Quinn Lucas Schansman. The Boeing 777 was carrying 298 people when it was shot down over eastern Ukraine on Thursday, sending shockwaves around the world from Malaysia to the Netherlands. In Kuala Lumpur, CBS News reached the wife of one of the pilots who said she was too distraught to talk and needed time to process what happened. Several passengers were traveling to Melbourne, Australia, for the 20th International AIDS conference, which was starting Sunday. "Joep was a very unassuming man considering his many accomplishments and an individual who took humanitarianism to heart," Lange's colleague, Jose Zanuga, told CBS News by phone. A World Health Organization spokesman traveling to the conference was also killed. Most of the victims - at least 173 - were Dutch. The flight set off for Amsterdam's Schiphol Airport in the country's school summer vacation period and was heading for the Malaysian capital, Kuala Lumpur. Indiana University said that Karlijn Keijzer, a Dutch doctoral student who was a member of the women's rowing team in 2011, was among the passengers on Malaysia Airlines Flight 17. In the close-knit fishing town of Volendam, near the Dutch capital, flowers were laid outside a florist's shop whose owner and her boyfriend also were believed to be among the victims. A handwritten note taped to the storefront above a bunch of orange roses, read: "Dear Cor and Neeltje. This is unwanted, unbelievable and unfair. Rest in peace. We will never forget you." Meanwhile, one family was reeling from their luck: Izzy Sim, her husband and baby were bumped from the doomed flight because there was no space, CBS News correspondent Elizabeth Palmer reported from Amsterdam's Schiphol Airport. "I'm shaking, I don't even know what to do, I'm feeling physically sick, " she said. "I feel like I've been given a second chance." All of the crew members were Malaysian, including flight attendant Nur Shazana Mohd Salleh. "She is my daughter, pray that she is safe," her distraught father said on social media. "She is single, hoping to get her married soon. She felt that this month is special for her." Dutch activist Pim de Kuijer, once a political intern of former Dutch lawmaker Lousewies van der Laan, was also among the dead. On Twitter, Van der Laan called him "a brilliant, inspiring and caring activist fighting for equality and helping AIDS victims around the world." A Dutch senator, Willem Witteveen of the Labor Party, also died, the Dutch Senate announced. In Kuala Lumpur, a distraught Akmar Mohamad Noor, 67, said her older sister was coming to visit the family for the first time in five years. Students at Sydney Catholic school Kincoppal-Rose Bay School of the Sacred Heart gathered Friday for a special prayer meeting after it was confirmed that Sister Philomene Tiernan, a 77-year-old teacher, was killed. What will happen to Malaysia Airlines after second tragedy? "We're absolutely devastated. For me, she's been a great mentor and she's also a personal friend," school principal Hilary Johnston-Croke said, her voice breaking with emotion. Another Australian school, Toorak College in Melbourne, was also affected. 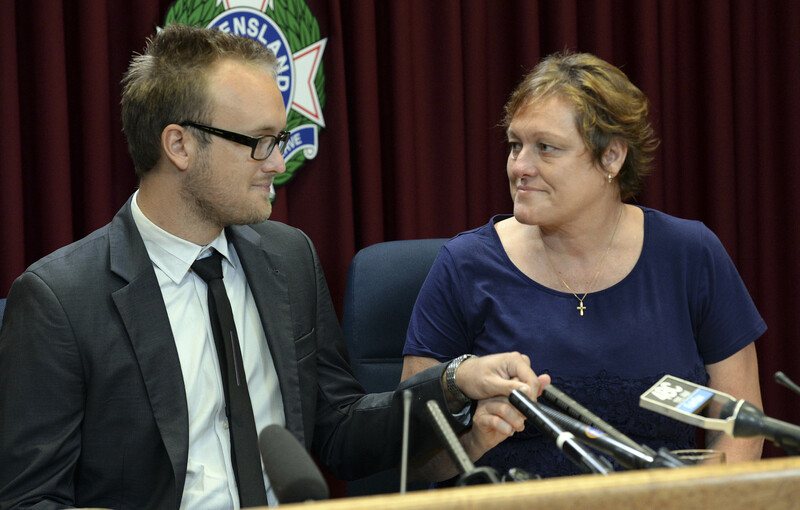 Teacher Frankie Davison and her husband Liam were on the stricken flight, the school announced. "Our hearts and sympathy goes out to their children Milly and Sam, and family," the school wrote. "We are devastated by the news of this tragedy." The Minkema College high school in the central Dutch town of Woerden also lost three pupils, all from different families. It didn't release their identities. The school's principal, Alice Timmermans, opened the building for students, parents and teachers to console one another. Australian sports clubs also were hit by the tragedy. Victoria state real estate agent Albert Rizk and his wife Maree Rizk were both killed, leaving a hole in a local football club. Phil Lithgow, president of the Sunbury Football Club, said Albert was a member of the club's committee, Maree was a volunteer in the canteen and their son, James, played on the club's team. "They were very lovely people, you wouldn't hear a bad word about them - very generous with their time in the community, very community-minded, and just really very entertaining people to be with," Lithgow said. Nick Norris, 68, from the Western Australia city of Perth, and his three grandchildren, Mo Maslin, 12, Evie Maslin, 10, and Otis Maslin, 8, were on Flight 17, said David Harries, general manager of the South of Perth Yacht Club - of which Norris was a member. Harries issued a statement on behalf of Norris' wife, Lindy, that said Nick was an active sailor. "Nick and Lindy are well loved and respected members of the club who contributed selflessly as volunteers for yachting regattas and events," the club said in a statement. Nick's grandchildren were also members of the club, along with their parents. English Premier League soccer club Newcastle United said two of its fans who were flying to watch the team's tour of New Zealand were also among the dead. The club's website named the supporters as John Alder and Liam Sweeney. Newcastle manager Alan Pardew said "myself and all the players are deeply shocked and saddened by this terrible news." A famous Dutch sporting event, the Nijmegen Four Day Walk, also was hit as it passed through the town of Cuijk on what is normally a festive final day. The town's mayor, Wim Hillenaar, said a family of four, including two staff at the municipality, was "very probably" killed. "You almost can't grasp the news," he said. "It fills us all - municipal workers and colleagues - with terrible grief." Hillenaar said he wouldn't hand out flowers to the thousands of walkers who take part in the event as he usually does. In Geneva, the World Health Organization said its spokesman Glenn Thomas, a 49-year-old Briton, was killed. Gregory Hartl, a spokesman for the U.N. health agency, said Thomas was traveling to Melbourne to attend the AIDS conference. Hartl said Thomas "will be remembered for his ready laugh and his passion for public health." In Amsterdam, grieving relatives of the victims gathered in a hotel at Schiphol, kept away from waiting reporters. Dutch cyclists competing in the Tour de France wore black armbands in a show of solidarity with relatives, while a live radio report of the race was cancelled.